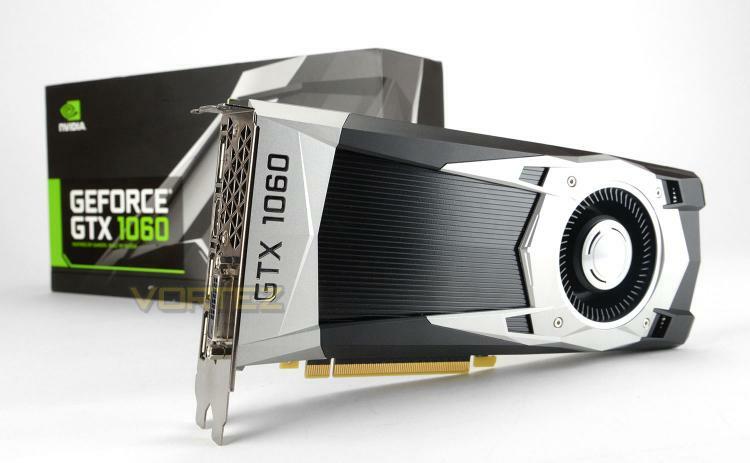 The debut outing for NVIDIA’s slimmer GP106 GPU, the GeForce GTX 1060 effectively replaces both GTX 980 and 970 in NVIDIA’s product stack, starting from $249 for partner cards and $299 for the ‘reference’ Founder’s Edition. On paper performance claims are startling, approaching (and even surpassing) the GTX 980 for substantially less outlay, lower power requirements, and with a far more compact GPU core. In contrast to the transition from the 700-series to the 900-series therefore the GTX 1060 represents a substantial performance improvement at this price bracket, and a key upgrade target for those currently rocking an GTX 960 or earlier GPU. In contrast to the GTX 1080 and 1070 Founder’s Editions, the GTX 1060 FE we’re reviewing today is only available direct from NVIDIA, priced at £275 inc. V.A.T. in the UK. If you’ve fallen in love with this aesthetic, or simply demand a cooler which exhausts hot air directly from your system, retailers are unlikely to satiate you. That said, a myriad of partner designs are available on launch with some excellent cooling solutions, so if you’re a little more flexible in your requirements be sure to shop around. Rather than 4K resolutions or premium VR solutions, NVIDIA’s new card is more suited to the everyman. Excellent frame rates with high image quality settings at 1080p are anticipated, perhaps even stretching to 1440p in many instances, whilst the GTX 1060 is also likely to replace the GTX 970 as NVIDIA’s entry point to Virtual Reality on the Oculus Rift or HTC Vive. New Pascal-specific features such as Simultaneous Multi Projection and 4th Gen. Delta Color Compression will both aid the 1060 in that aspiration. In theory the GTX 1060 is a competitor to AMD’s Radeon RX 480, but the realities of the situation make the claim less clear-cut than it might be. Price disparities between these two cards may stymie hopes of a head to head battle, so it’s best not to view one card beating the other in terms of raw performance as a cast-iron recommendation. So, without further ado, it’s time to talk Features.